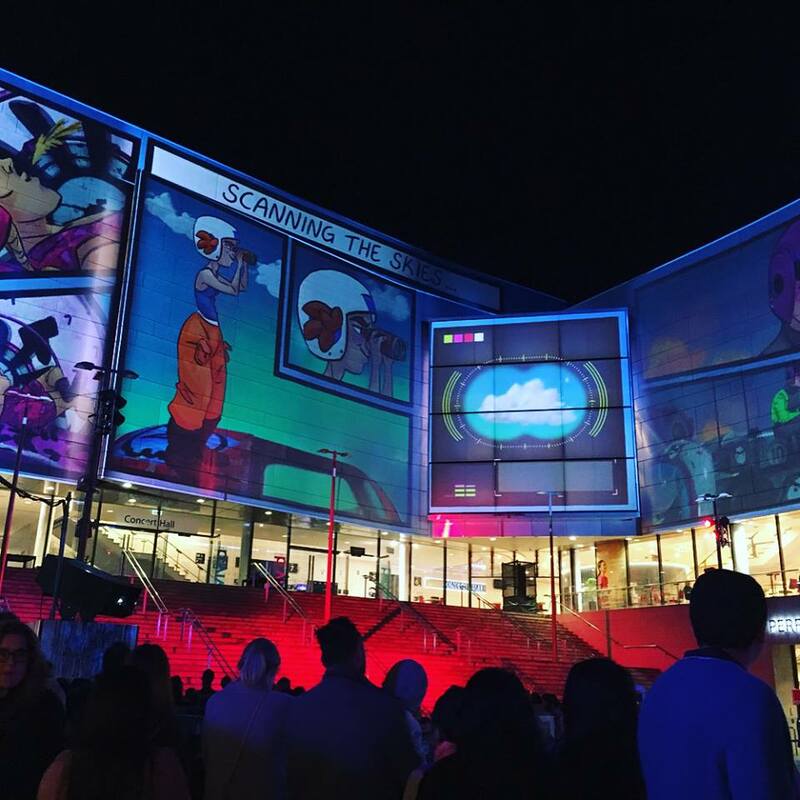 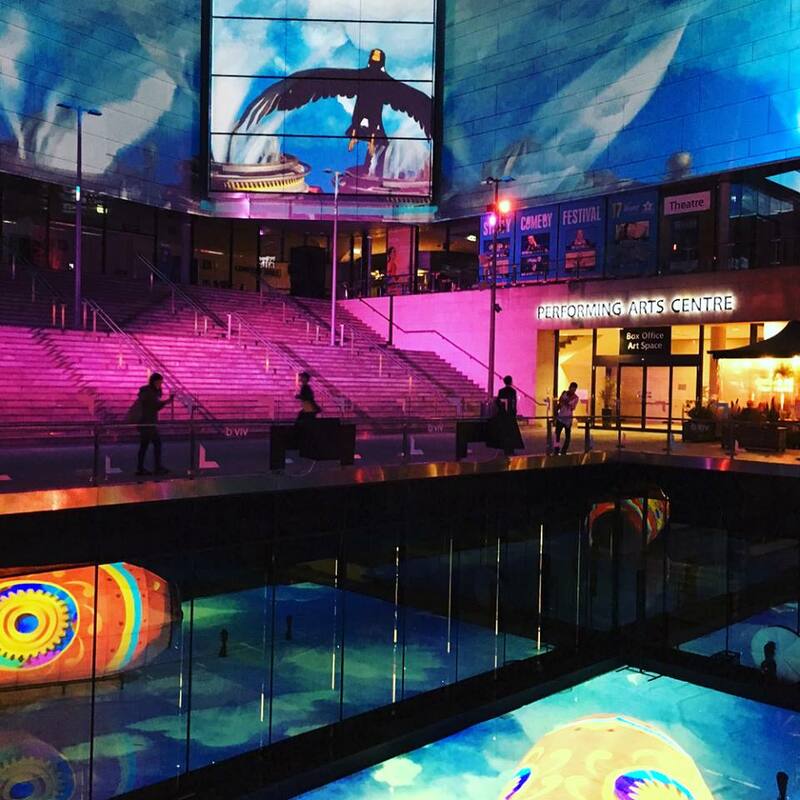 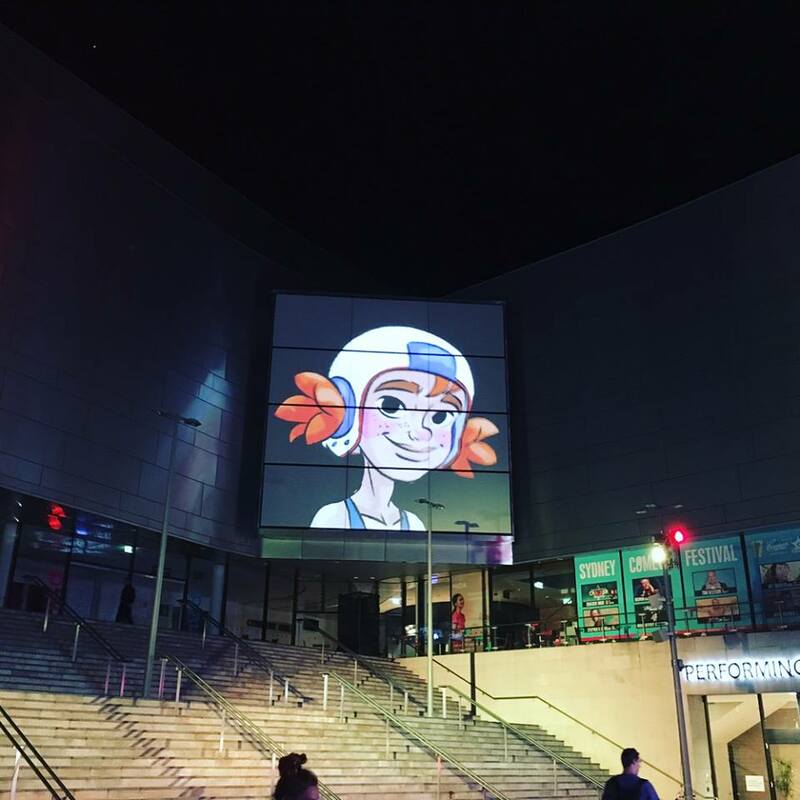 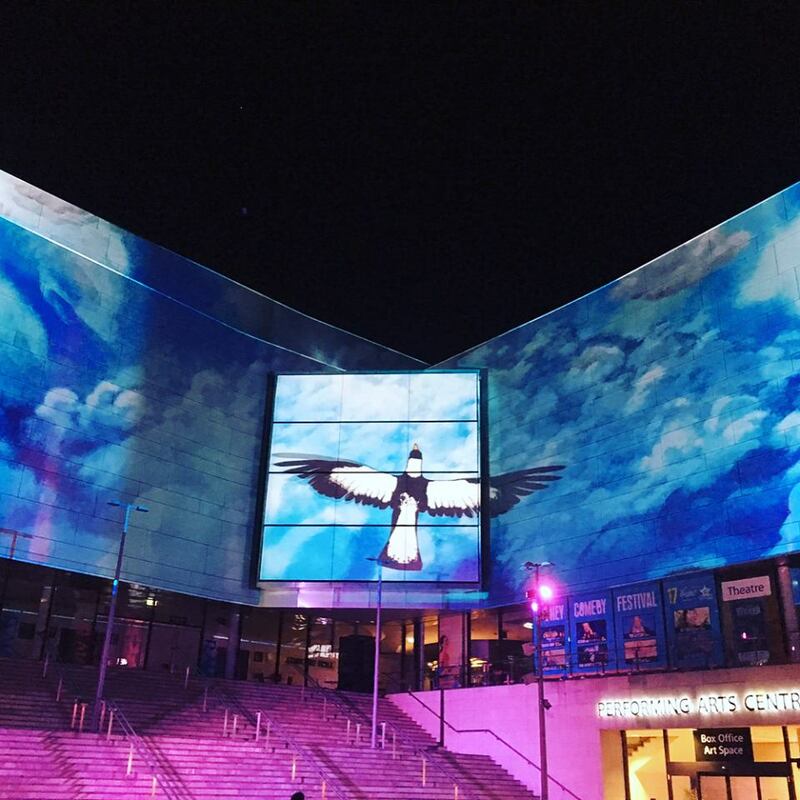 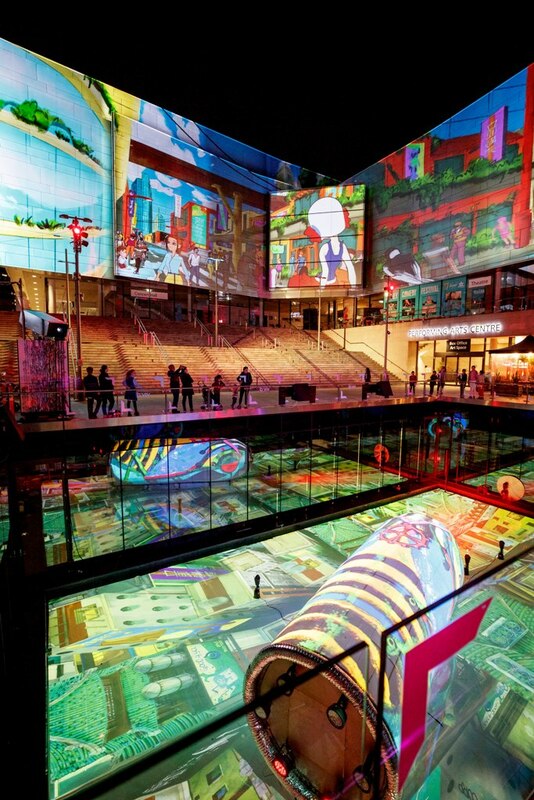 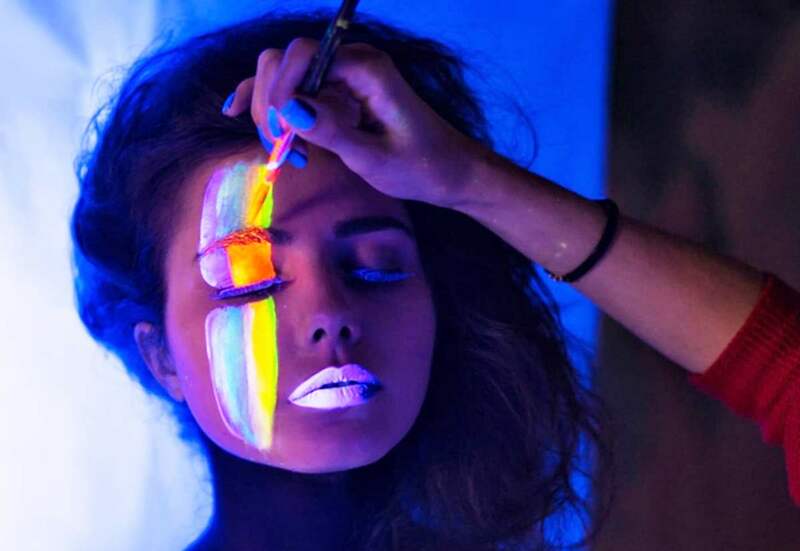 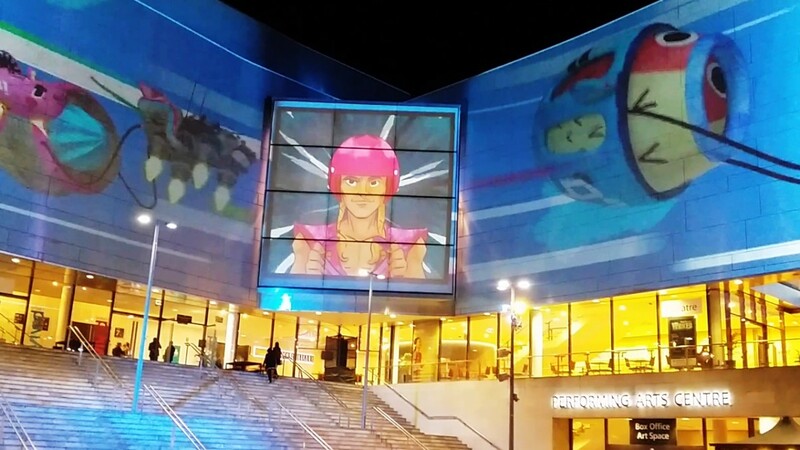 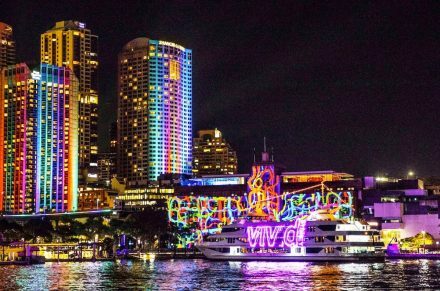 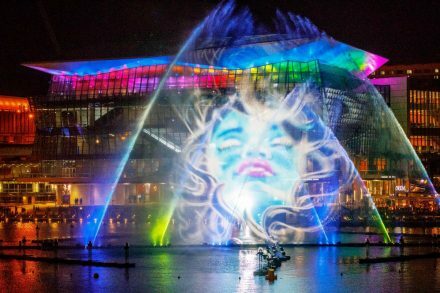 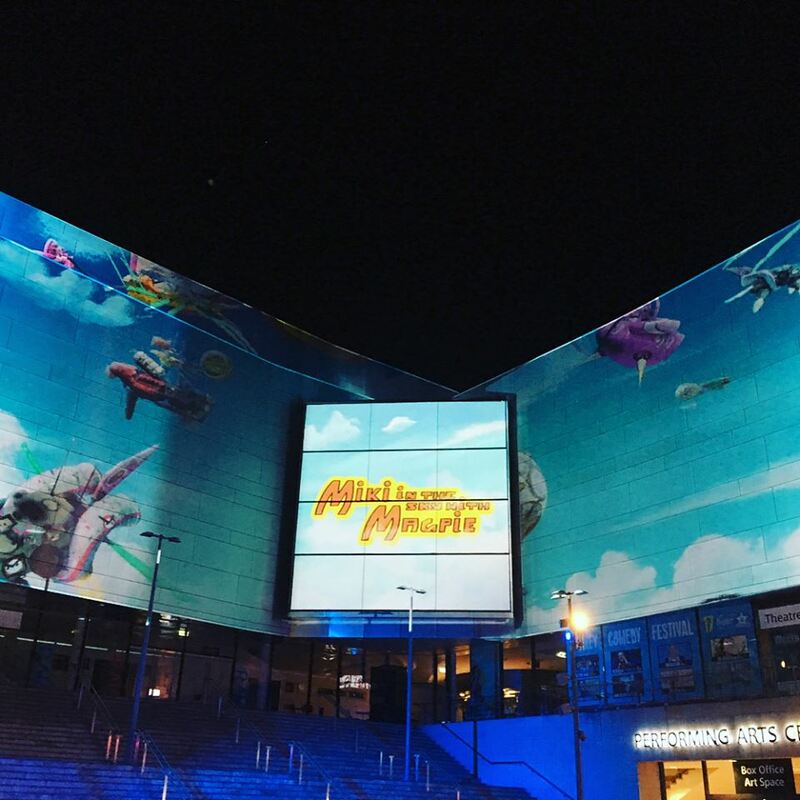 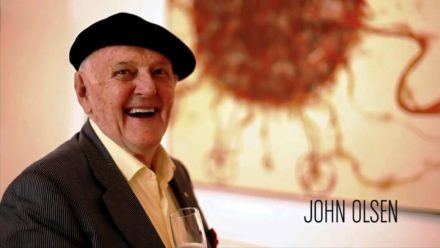 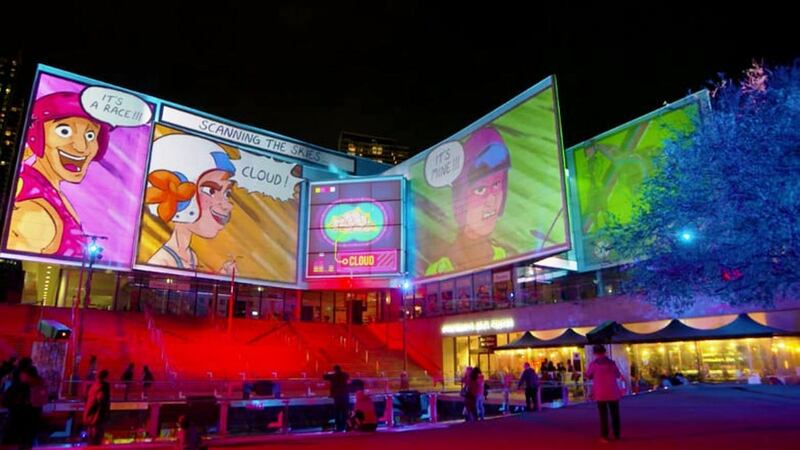 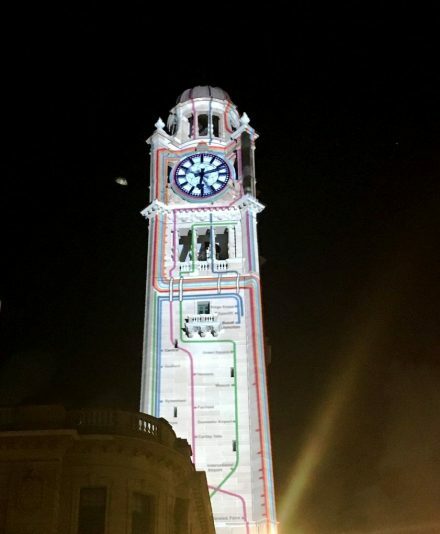 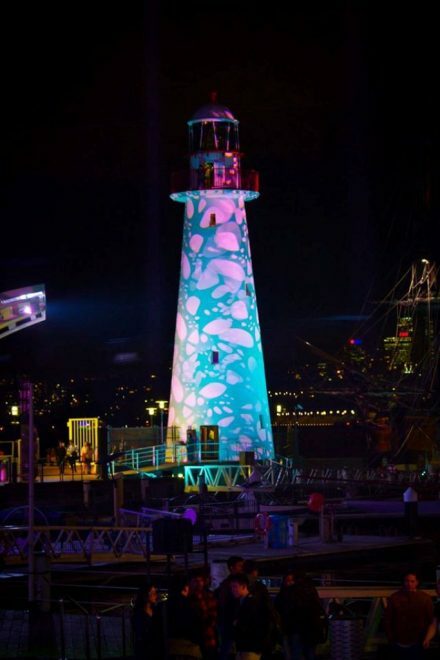 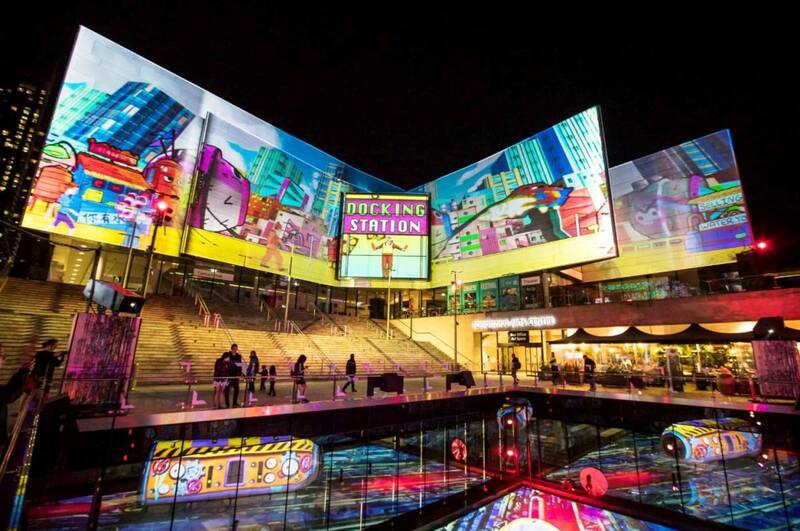 The Australian company ” The Electric Canvas” specialising in the field of large scale projections took over Chatswood with a range of incredible installations for Vivid Sydney 2017. 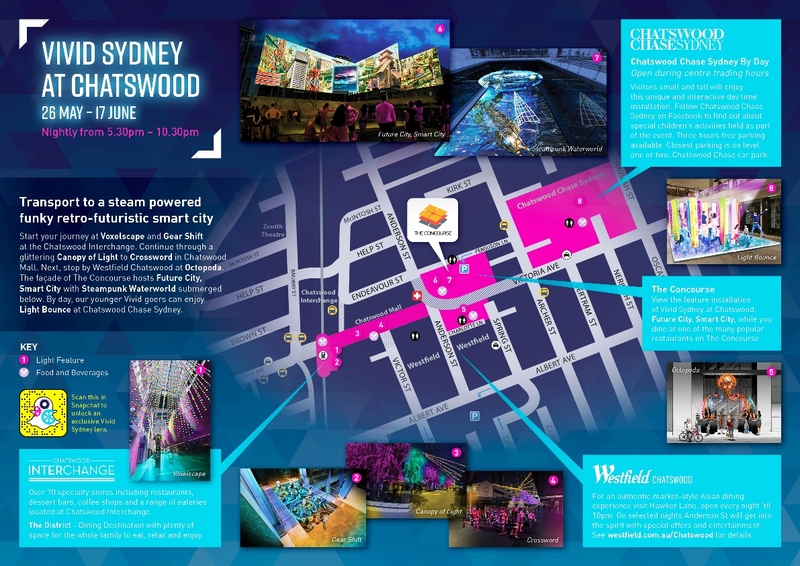 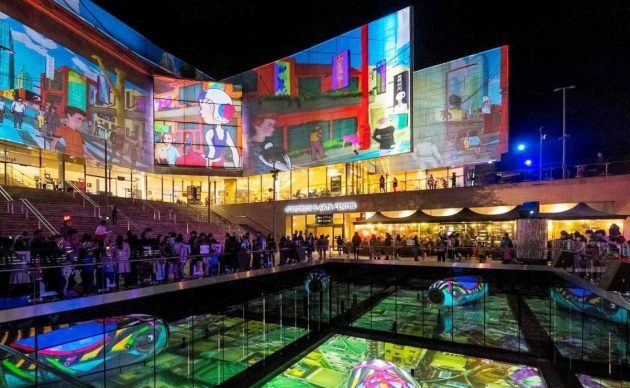 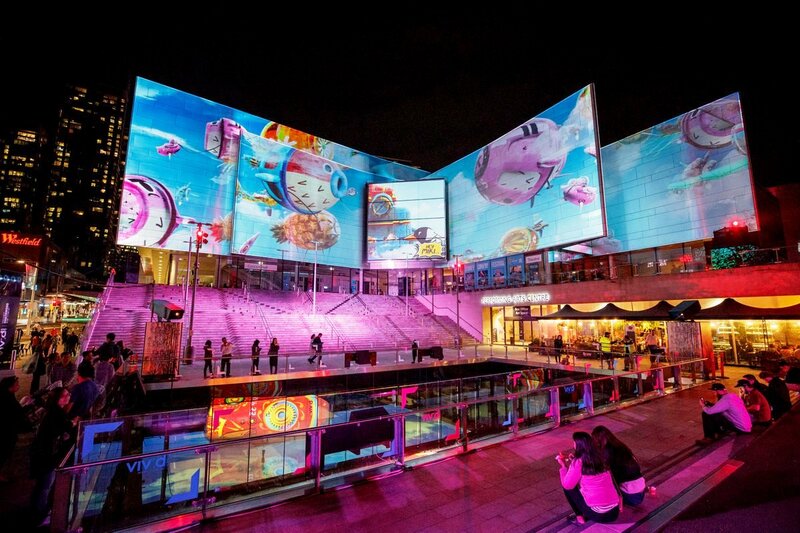 As the centrepiece of Vivid Sydney at Chatswood, the futuristic sails of The Concourse performing arts centre are the canvas for the feature son et lumière, where images and sound transport visitors into the realm of Future City, Smart City. 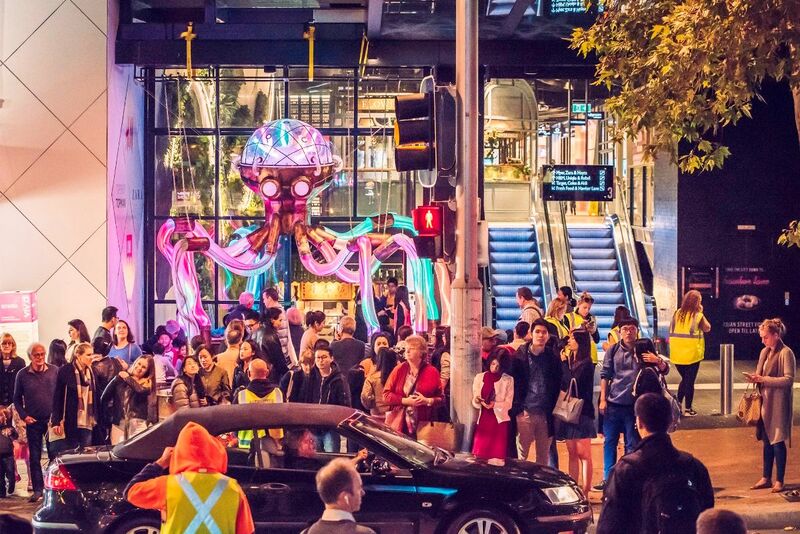 Hanging above Hawker Lane, the Octopoda invites audiences to become part of his tentacle percussion ensemble. 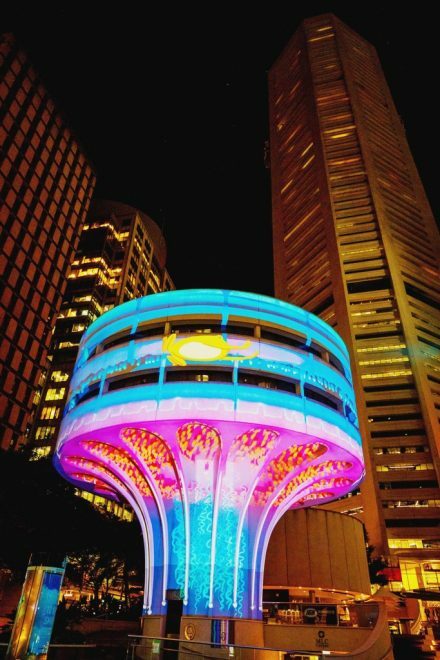 Featuring eight tentacle drums, each activates a unique display of colour and light animating the Octopoda’s musical mind. 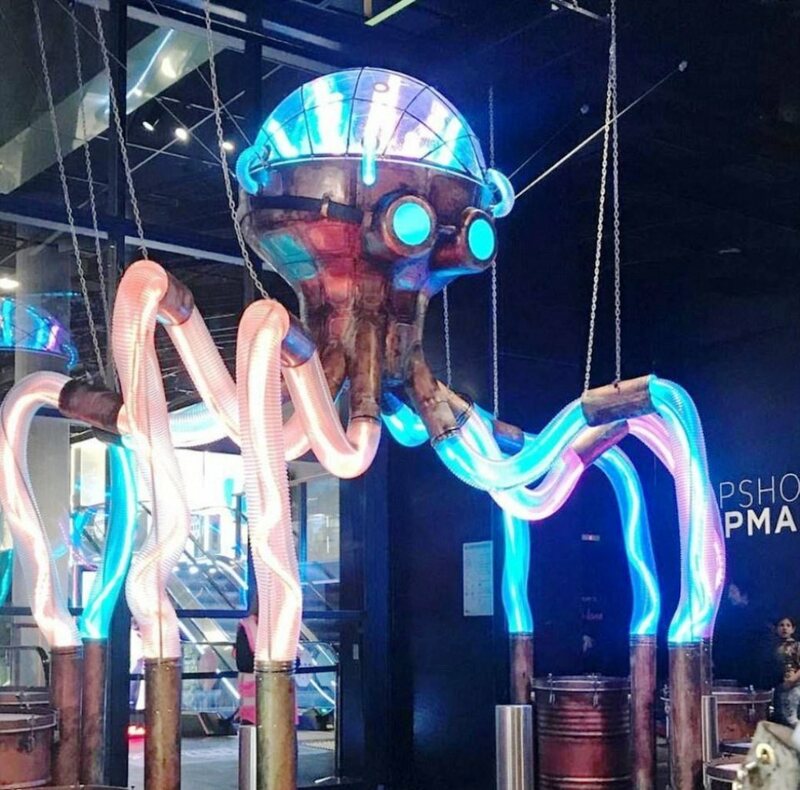 Inspired by steampunk themes, when all eight drums are playing together Octopoda will dazzle audiences with his mechanical moves and rhythmic light display. 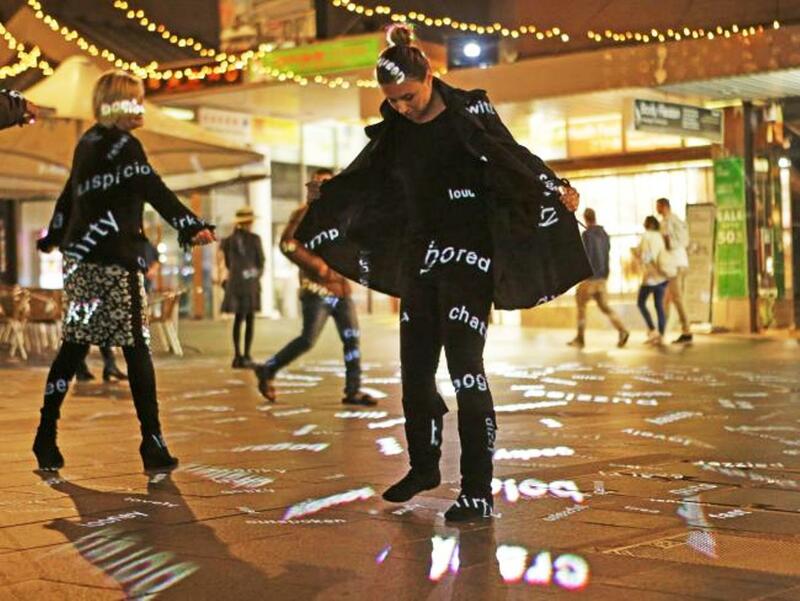 At the Victor Street intersection, Crossword will send a cross fire of emotive words and phrases into mid-air. 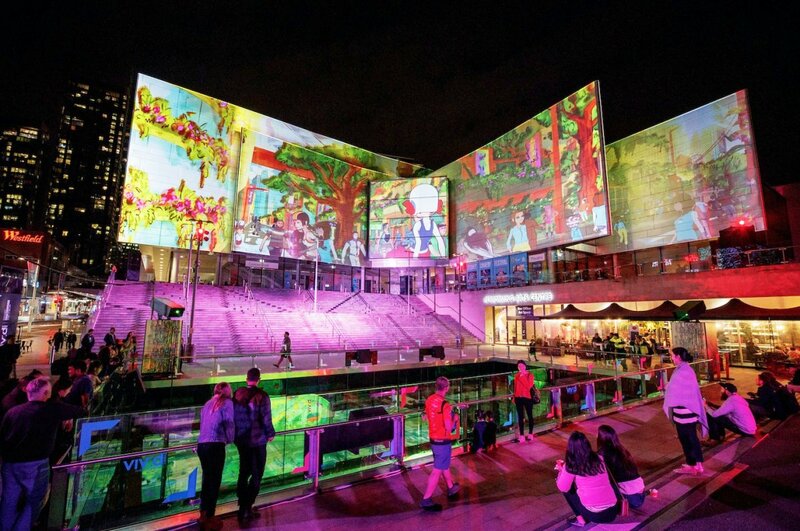 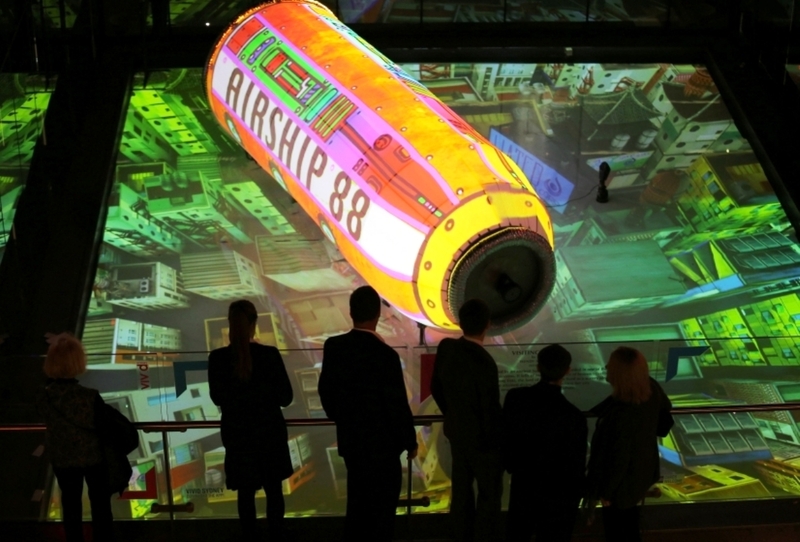 The audience become the backdrop to this enigmatic projection as hidden messages and meanings appear on revellers. 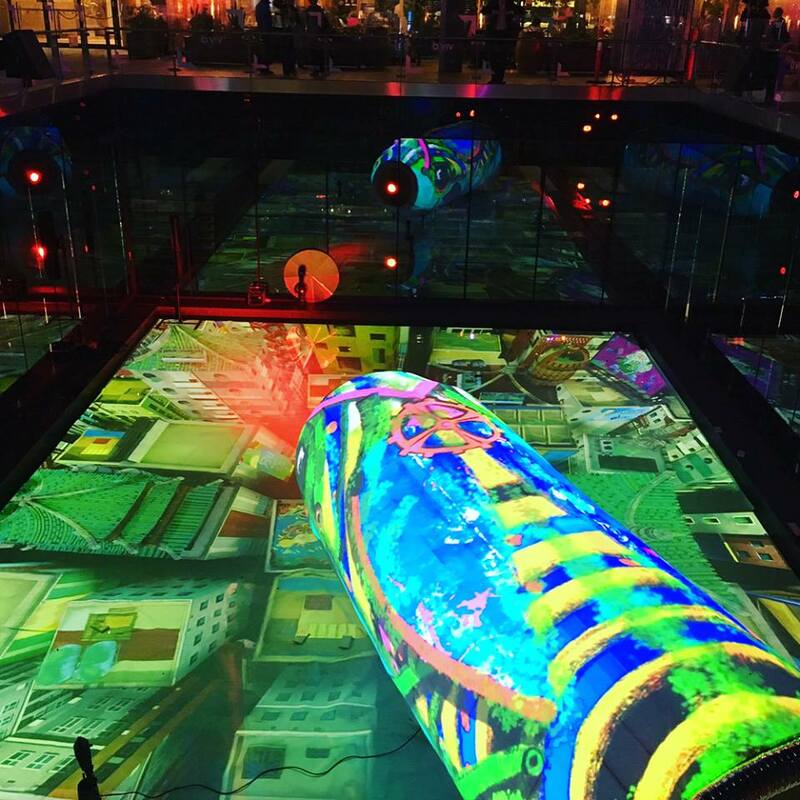 Extreme-resolution projection and intelligent motion tracking come together to create a unique interactive experience on the Level 3 footbridge leading to The District dining zone. 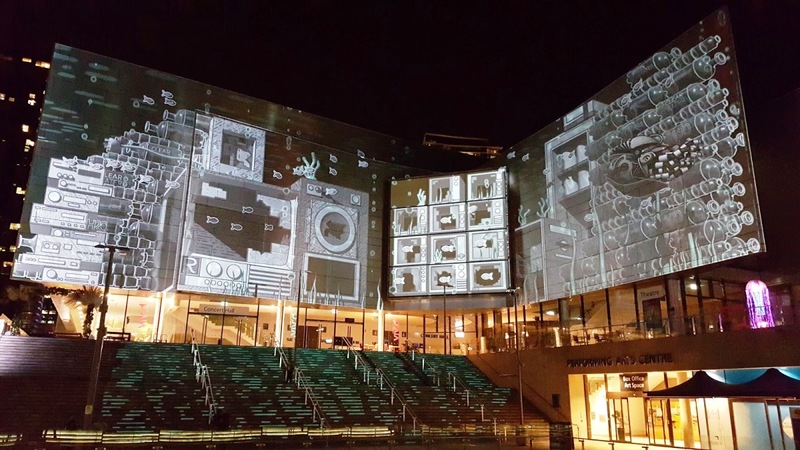 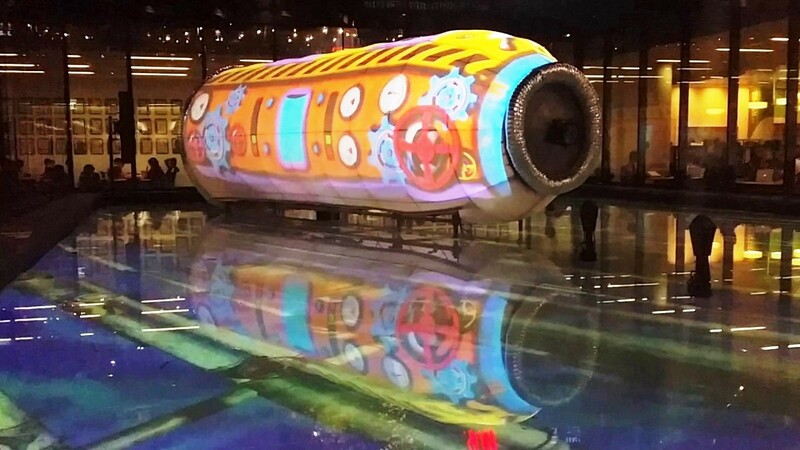 Shifting, pumping and turning in perpetual motion, the projections will respond to the movements of the public, constructing an amazing steam-powered machine. 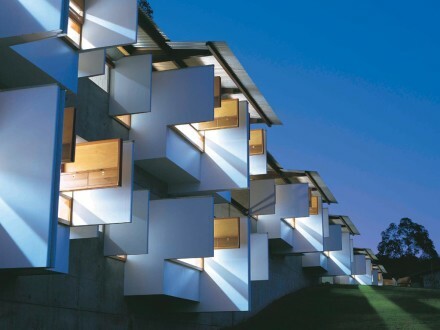 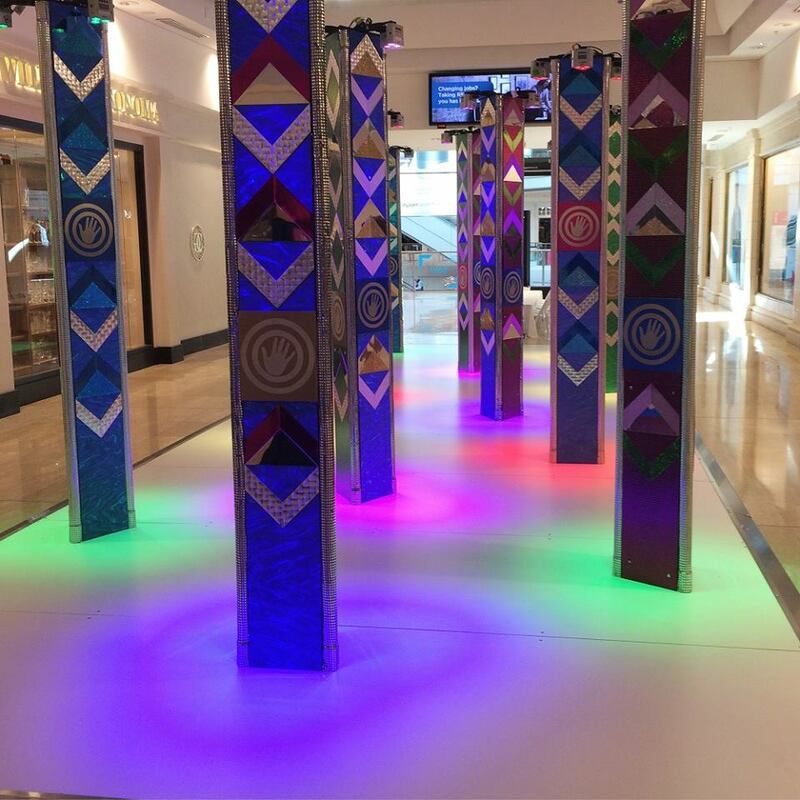 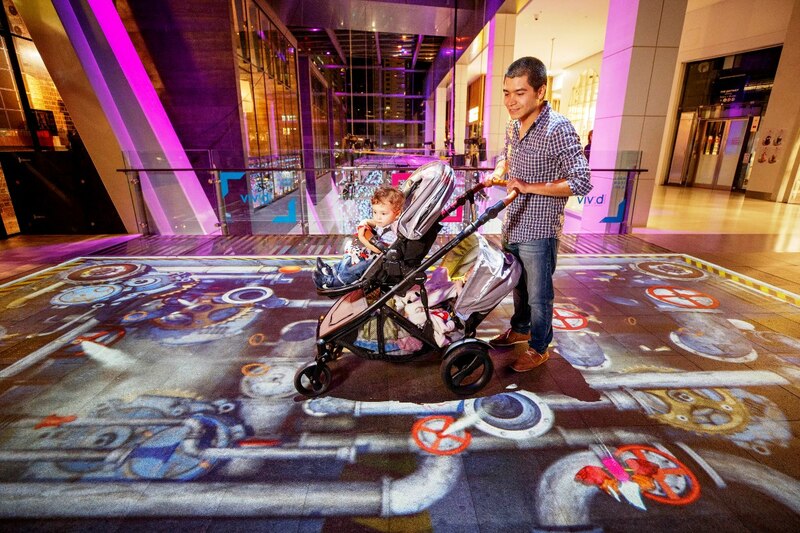 Visit Light Bounce by day at Chatswood Chase Sydney where a forest of totems welcomes the youngest of Vivid-goers. 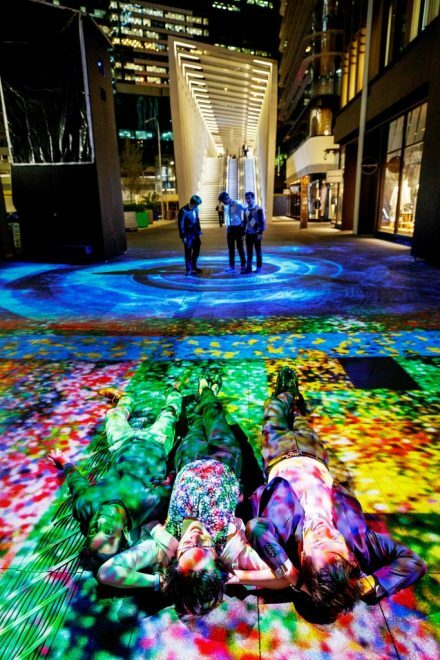 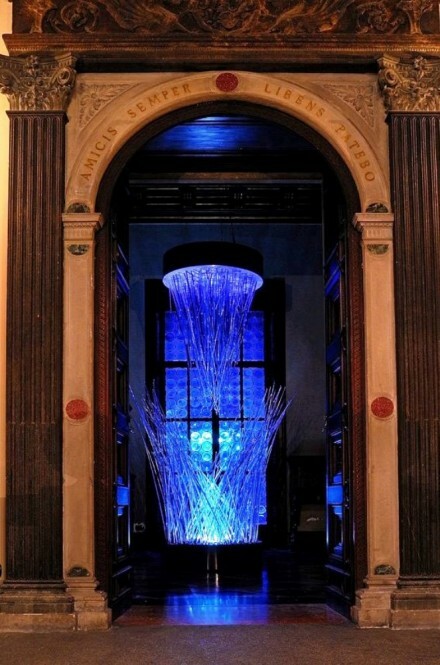 Visitors small and tall will be immersed in the light as it reflects and refracts off of the different surfaces as they play within this captivating installation. 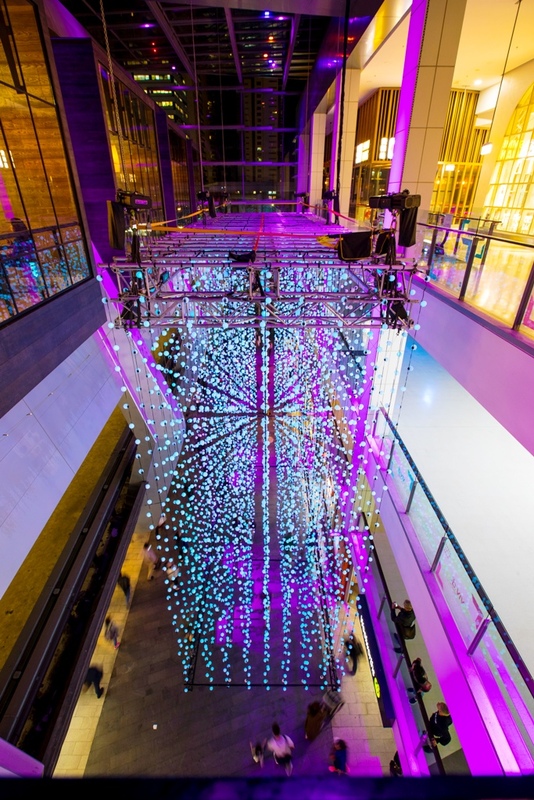 At the Chatswood Interchange, the vast air space of the retail and dining hub will be filled by a volumetric array of more than 9,000 LED light spheres, creating a three-dimensional light show viewable from any level of the Interchange. 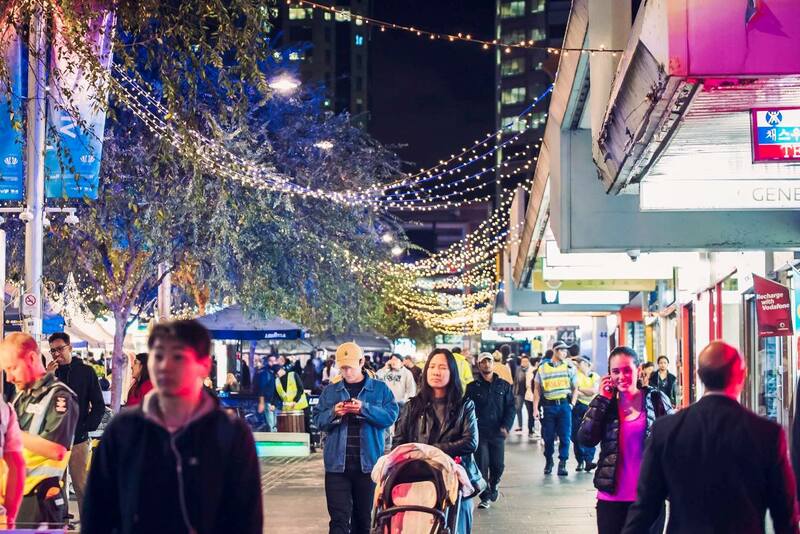 Leading visitors further into the precinct, Chatswood Mall will be awash in a colourful glow of light, emphasising Chinese elm trees planted along the thoroughfare. 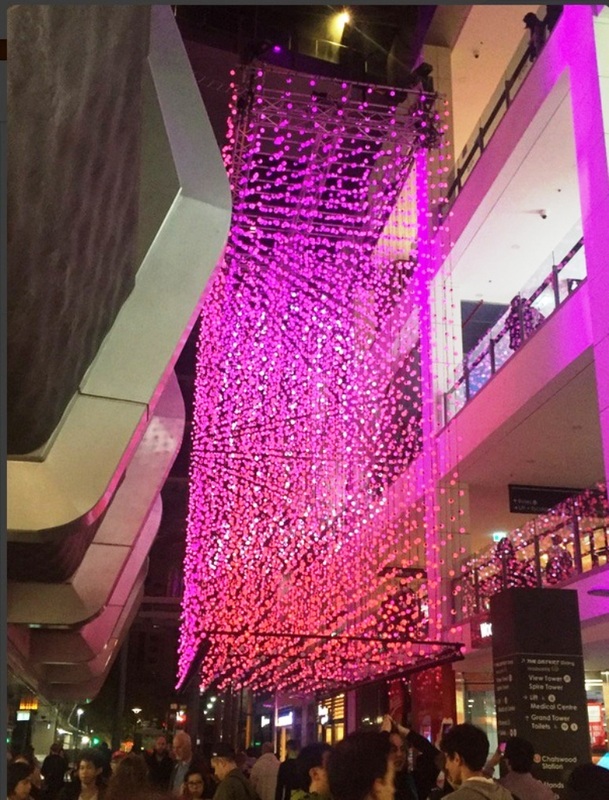 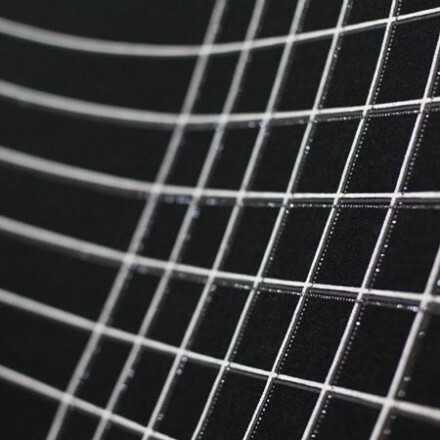 Almost one kilometre of silver bud-light will create a glimmering canopy of light that fans out across the Mall.